Last week several LigerBots met with Cub Scout pack 210 during their meeting at the Carroll Center for the Blind. 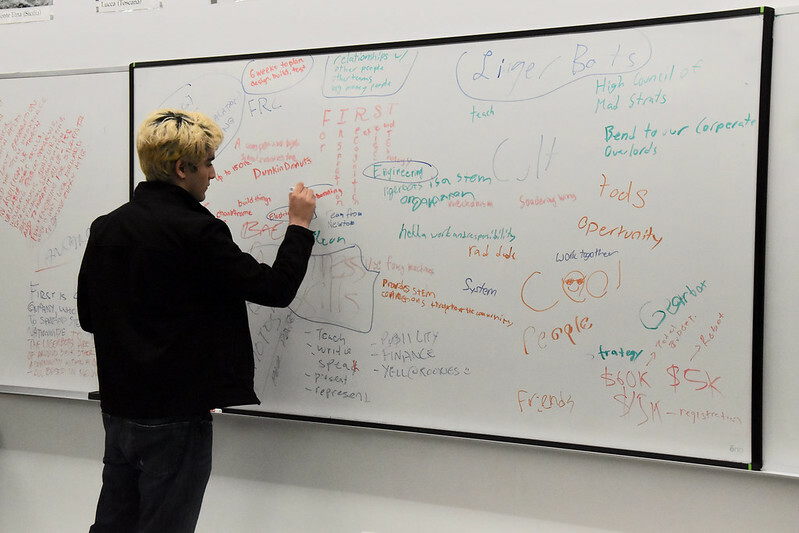 We explained the core principles of FIRST as well as the wide variety of skills LigerBots team members develop. 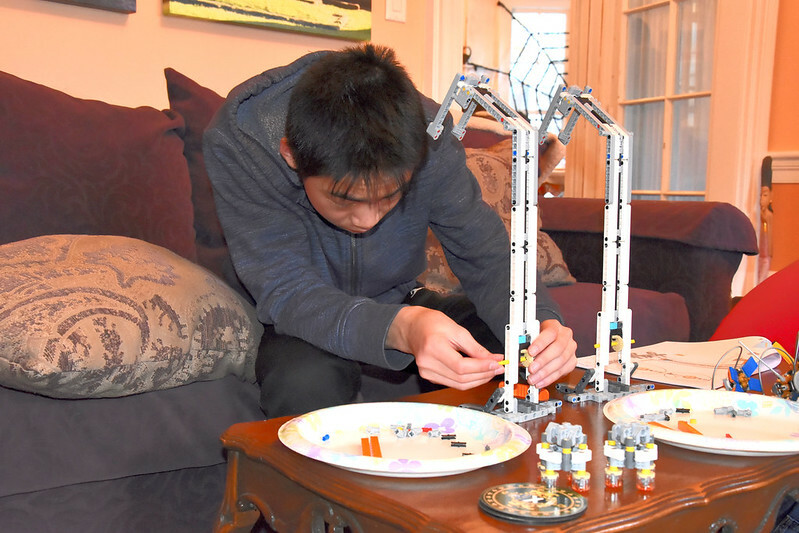 We encouraged the scouts to join FIRST LEGO League (FLL) teams, which are available for kids in grades four to eight. 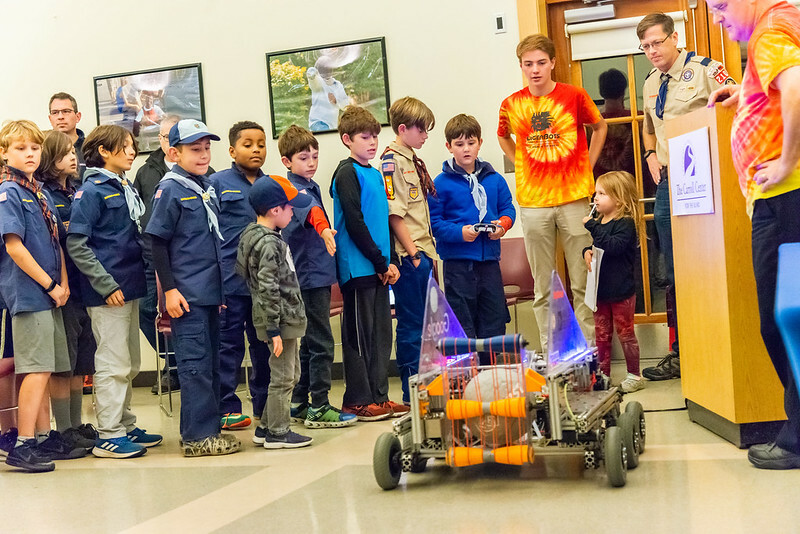 All the scouts had a great time interacting with the robot and were eager to ask questions, ranging from what it is like to compete in a competition to how we deal with battery acid spills. 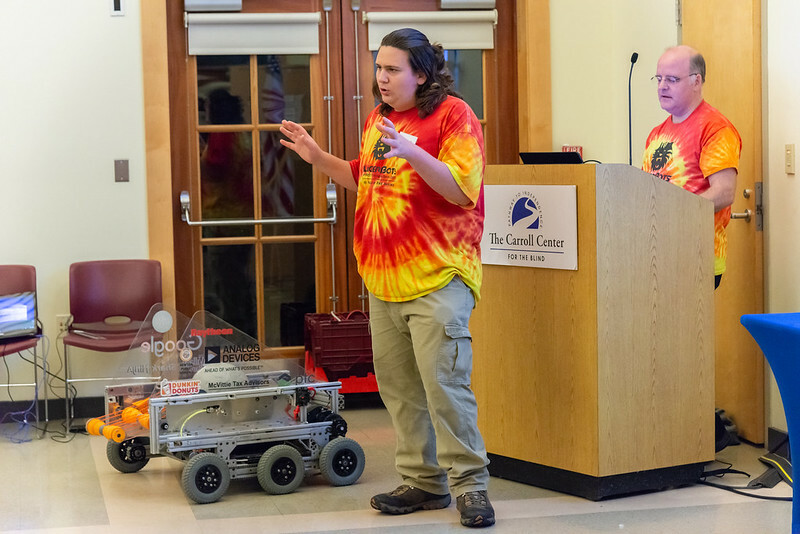 At the end of the meeting we gave all of the scouts the opportunity to drive our robot that competed in the 2016 FIRST World Championship and demonstrated how it could throw a ball with almost unparalleled accuracy. We hope to see all the scouts at our upcoming events! The LigerBots recently had our annual, team-wide “elevator pitch” training. We feel that learning how to make an elevator pitch is one of the three most important skills that LigerBots students learn from the team. (The other two are budgeting and project planning!) 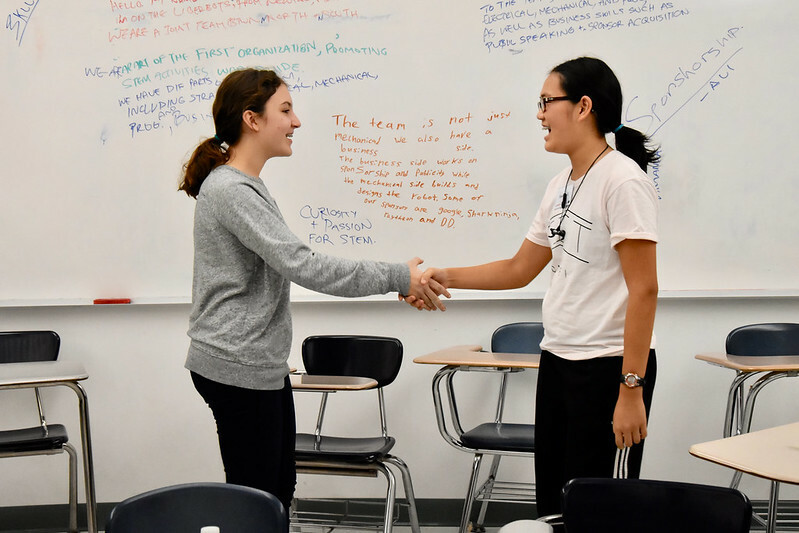 Group leaders that received their own pitch training at the previous meeting helped other LigerBots brainstorm, write, and practice with partners their own, personal 30-second explanations of the team. At the end of the meeting we gathered again, and LigerBots from each group presented their pitches to the entire team. We expect that this skill will be useful to our team members during interactions with many different kinds of people, including FIRST Robotics judges, outreach event visitors, potential team sponsors, college and job interviewers, and friends and family members who are not familiar with the FIRST Robotics program! 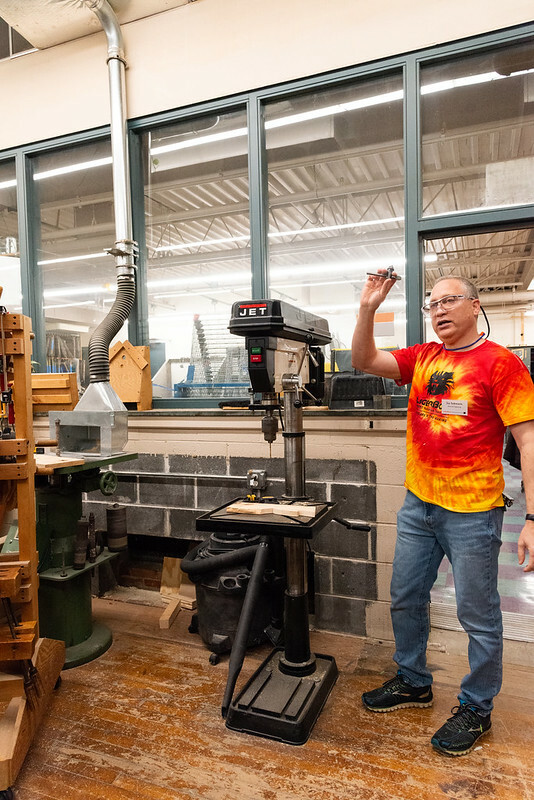 Our other important training session last week was in shop safety, led by our woodworking mentor, Jay. 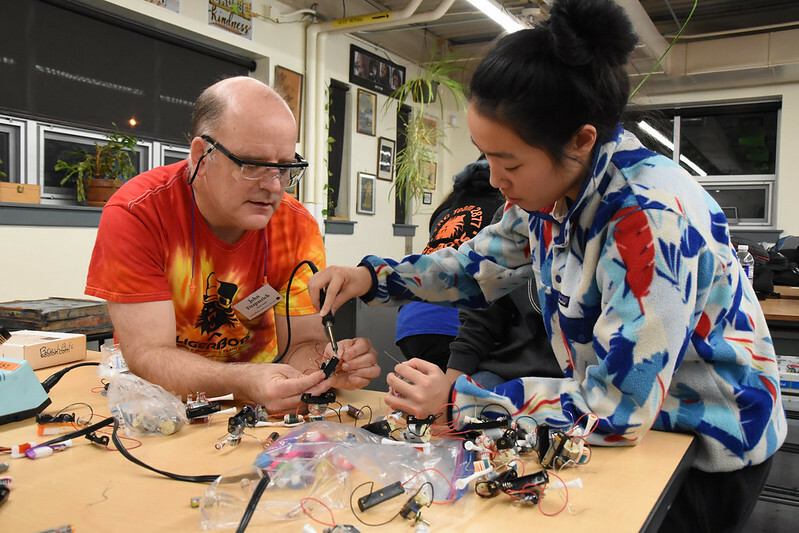 We also continued team training in electrical soldering, and had tutorials in precision manufacturing, learning how to cut and machine parts on large machines such as mills and bandsaws. We continued to work on our “roadkill,” a stripped-down robot that includes the bare minimum of mechanical and electrical parts that a programmer needs to test out code. We are approaching our goal of making a roadkill robot with multiple interchangeable drive trains. 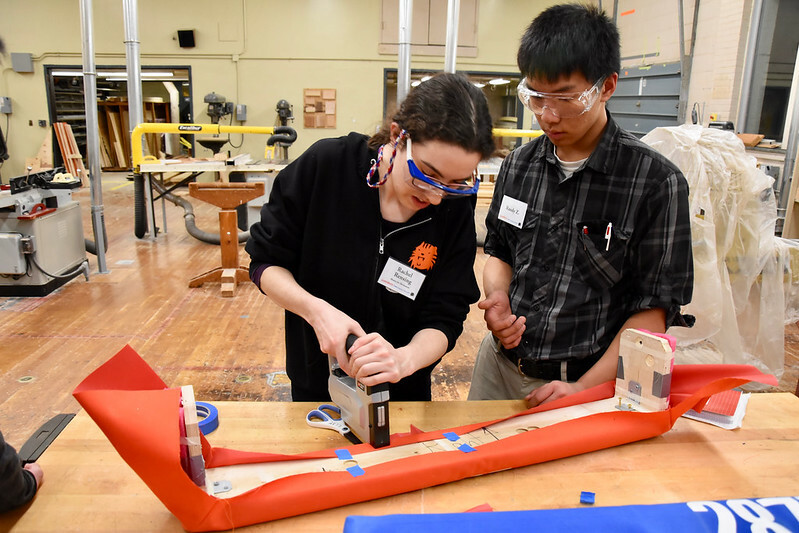 Our 2016 robot now has an orange bumper and blue bumper (our team colors) and we are completing a white paper on the bumper project. 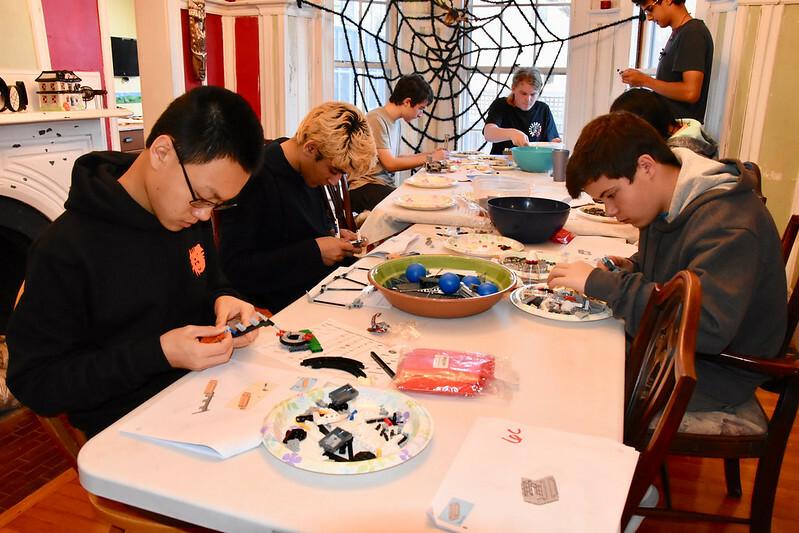 In preparation for our upcoming FLL competitions, LigerBots spent an entire Saturday assembling the FLL competition fields, with challenge elements made from many different kinds of game-specific LEGO pieces. Students built for nine hours to complete 11 fields containing 20 LEGO elements each (and many, many other parts!) as well as 15 LEGO trophies to be used in the FLL Eastern MA State Championship we will host in December. Kit building is always great fun, and with the addition of the trophies this year was even better. On Saturday, Nov. 17 we will use all of these fields at the Newton Qualifier FLL tournament at Newton North High School from 9-3. 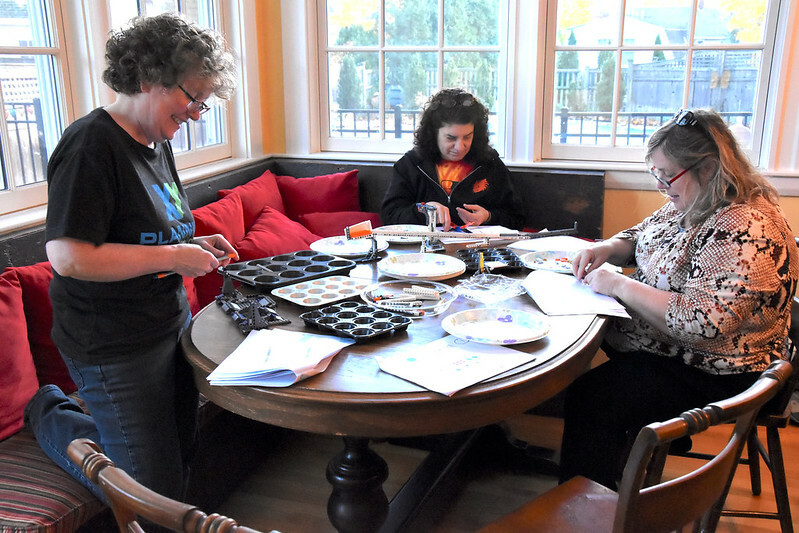 There will be a hands-on maker fair to accompany the competition. Bring your families and come watch! For more photos of all of these events, visit our Flickr page.